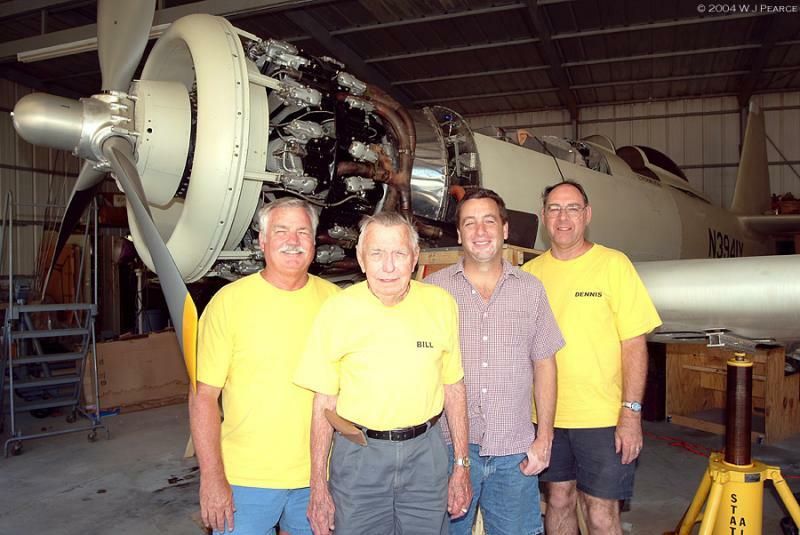 Team Wildfire; from left to right: Lockheed Skunk Works engineer Bill Statler Jr., former Lockheed Director of Science and Engineering; Bill Statler Sr., mechanic and auto-racer; Greg Austin, and Cal-Tech and JPL analyst; Dennis Wittman. Not pictured are Rich Statler, Senior Vice President, System Development, for the Mericom Corporation and Paul Novacek, Avionics Engineer and Vice President of Development for Electronic Flight Solutions. Wondering if any of you knew my father, Dave Byers. He was an electrician at Lockheed some yerars back. He later went to Northrop. Thanks.